Everybody is talking engagement. Consultants, experts, researchers, corporate managers struggle to provide the final recipes to have your troops up to the fight with a committed smile on their faces. The next Holy Graal is hidden and sought after by everybody. And this comes as no surprise! As companies struggle through an unprecedented crisis in the markets, they sense an increasing dissatisfaction among their ranks. While the eighties and nineties left us with the bright image of the successful business executive, and a dismaying picture of public government, in the last ten years all our beliefs have crumbled down crisis after crisis: big banks, big corporates, and countries ruled by new public management approaches running amok, and being torn into pieces. 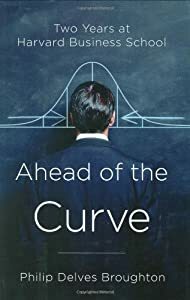 It would be useful to take off the shelf Philip Delves Broughton’s Ahead of the curve with his thoughtful criticism of the MBA model and the hidden assumptions on what really counts by organizers, faculties, and participants. But once you read it, you are left with the sad feeling that we are all trapped into a herd behavior. So nothing can be done, unless stepping out of it all? I bet something can (and as far as I am concerned SHOULD) be done. It centers around the courage to ask yourself as management practitioners three questions, and be fair in answering them. 1. Why should anybody engage into what we are doing? Engagement is not created from outside, it is not hidden in the next incentive formula or in an esoteric psychological model. Nowhere can those who claim to be measuring it find a way of raising it. It is one of the greatest pleasure of our search for meaning as human beings. It is what defines our destiny and identity, by calling all our best energy into action. So beforehand you must realize that it is not straightforward to believe that if you are paid for doing something this would mean that something matters so much to you. I find it so annoying when corporate leaders look upon their troops and complain about their unwillingness to be like themselves. It probably sounds like what noblemen and the monarchy would do in France right before the French revolution. It conveys the idea of so much disdain for humanity and its inherent diversity. So before talking engagement, please, realize people are different from you, and look openly to the true reason for which you call them to commit. 2. Is engagement worth the expected results? In an era where it seems that guts count more than competency, it comes as no surprise that any problem is always referred to bad execution. It is not uncommon to listen to a much admired CEO justify his many zeroes salary by affirming he sleeps only 4 hour by night (could it be the reason of so many bad decisions on his side?). Once again it is more self-assuring to look at your results and conclude it is people not being committed and engaged the ones to be blamed. But don’t we realize corporate organizations are but means to organize collective activities? So is it really necessary to extract all and any drop of sweat and dedication from anybody? Is this human after all? Is it worthy for you filthy ‘everything-should-be-converted-into-money’ corporate suits? Isn’t it true that a well managed company does not need extraordinary people and extraordinary efforts and engagement? So, why don’t you go back to basic and stop blaming people? Maybe it helps, after all. 3. What if in the end the real issue is letting people engage instead of forcing them to engage? The ambiguity of management practice is unbelievable. Whenever I try to explain it to laymen who don’t deal with business and management, I found myself as if on a quagmire. Management prescribes autonomy, and requires control. Isn’t it curious if we think of it with the adequate detachment? And then we go on with extremely silly debates that fascinate the adepts of this cult on whether it is art or science. Oh boy, I could not resist a great laugh on it all… Management is like religion. Great to believe in because of its promises, but always to be kept in its place when we extend it onto other people’s lives. Management is inherently a power act on somebody’s else lives, it is a tool to reinforce authority, it is a camouflage for the justification of unresolved differences in society, after the diffusion of democracy across the world. It comes as no surprise if you read outside the restricted boundaries of management orthodoxy. Michael Burawoy in his Manufacturing consent had it all. On both sides of the Iron Curtain, Taylorism was god, albeit with a small ‘g’. Management therefore acts to legitimate its existence and by doing so exerts a powerful influence, that many times can inhibit engagement and restrain people from feeling really engaged. You might be true, but so what? and please, don’t overemphasize its importance, we are talking about business organizations after all, not the meaning of all our kind! This entry was posted in management and tagged Business, Employee engagement, Employment, Engagement, human resource management, Leadership, management, Michael Burawoy, sensemaking, talent management. Bookmark the permalink.